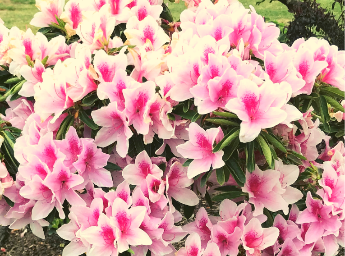 Azaleas are fantastic flowering shrubs native to Asia, Europe and North America. With such beautiful floral displays, it is no wonder plant enthusiasts have created over 10,000 cultivators that can be used on mass to brighten any garden. Plant Azaleas under Japanese Maples or with other acidic loving plants like Camelias, Rhododendrons or Daphne. Commonly found in White, Red, Mauve and various shades of Pink, these plants provide stunning splashes of colour that will make any garden the pride of the neighbourhood. Sun tolerant varieties are now ready for planting in East and North facing positions, no longer confining these colourful shrubs to the shade. Bougainvillea are a genus of thorny ornamental vines, bushes and trees that flower profusely. The vine species grow anywhere from 1 to 12m tall scrambling over other plants with their spiky thorns. They are evergreen in areas of year-round rainfall or deciduous during dry seasons. The actual flower of the plant is small and white, but each cluster of three flowers is surrounded by three or six bracts with the bright colours associated with the plant. These colours include pink, magenta, red, orange, white and yellow. Bougainvillea Glabra is sometimes referred to as “paper flowers” because of the thin paper like bracts. 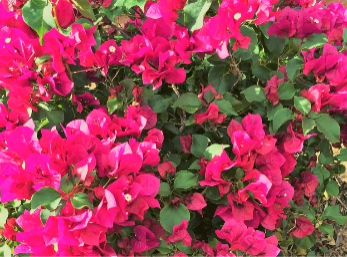 The growth rate of Bougainvillea’s varies from slow to rapid depending on the variety. They tend to flower all year round in equatorial regions. Elsewhere they are seasonal with bloom cycles typically from 4 to 6 weeks long. Bougainvillea grow best in dry soil, in very bright full sun with frequent fertilisation. Once well established they require little water and in fact will not flourish if over-watered. Conifer lovers enjoy the vast range and diversity of shape, colour and texture of these plants. They are generally slow growing and available in a variety of sizes from ground covers to large trees. Conifers are a fully hardy plant and will adapt to growing conditions well, it is this that makes them quite well suited to placement around pools. Conifers look great together as a hedge or mixed amongst other plants and can be pruned into a variety of shapes. Best grown in well drained and moist soil, they only require watering when the soil is dry. All home cooks and chefs alike need a beautiful collection of edible plants in their garden. 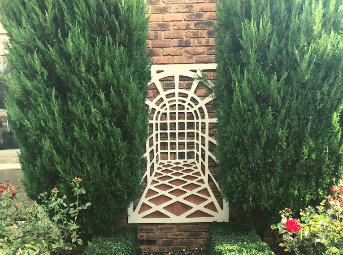 Edible plants are available in a variety of styles creating a perfect natural screen, shade tree, low hedge or container plant. Genus of evergreen shrub and trees, grown for their flowers and foliage. Prefers humus richs, well drained, neutral to acid soil and full sun to part shade. Grow well in containers, water freely when in full growth and moderately at other times. After flowering, shorten shoots to maintain shapely habit. Lagerstroemia Indicia is a very popular flowering shrub/small tree. 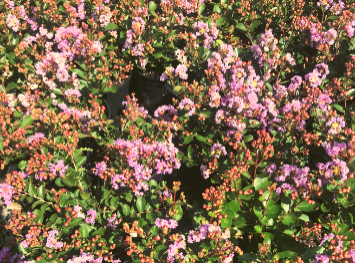 This low maintenance shrub is commonly found in municipal parks, along sidewalks, highway median strips and parking lots. The Crepe Myrtle has extensive planting variations and an ability to thrive in hot, humid summer climates with regular rain. It is one of few shrubs/trees to offer brilliant colour in late Summer through to Autumn at a time when many plants have exhausted their blooms. All Michelias are Magnolias however not all Magnolias are Michelias. 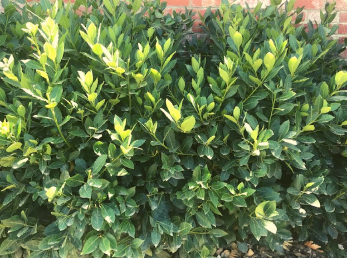 Great small to medium shrubs/trees with glossy green leaves ranging from light to dark green with a bronze underside. Flowers are small but plentiful and perfumed. 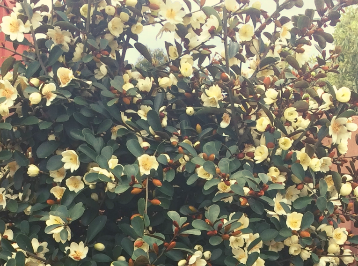 Tidy shrubs that flower in Winter - Spring and again in Summer – Autumn. 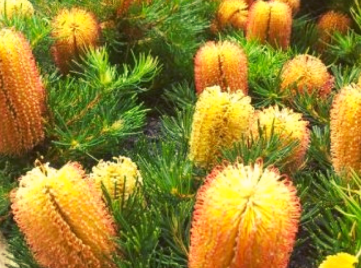 Native plants are a great addition to all Australian gardens. Because they are adapted to the local region climates, they require far less water. Once established native plants are very low maintenance. In addition to their tolerance to Australian climate they also provide ideal homes for native wildlife. Attracting local varieties of birds and insects to the backyard. The best-known species is Rhaphiolepis Indicia (Indian Hawthorn) from southern China. This plant is grown for its decorative pink or white flowers and is popular within the Bonsai culture. Rhaphiolepis Umbellata (Yeddo Hawthorn) from Japan and Korea has blunter leaves and white flowers. It is the hardiest of the species tolerating temperatures down to around 15°C. The fruit of some varieties is edible when cooked and can be used to make jam. However other ornamental varieties bear fruit that is of no culinary value. 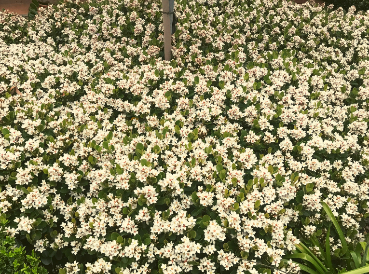 Rhaphiolepis Oriental Pearl is a compact low growing shrub producing an abundance of flowers through Winter and Spring. 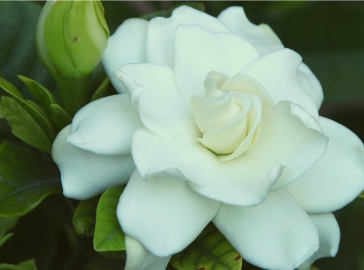 Attractive white flowers with pink stamens are borne in tight dense rounded bushes. Hardy to a very wide range of conditions. Rhaphiolepis are compact, low maintenance and spot free, ideal for low hedges and borders. They feature dark green leathery foliage throughout the year and white flowers in Winter and Spring.